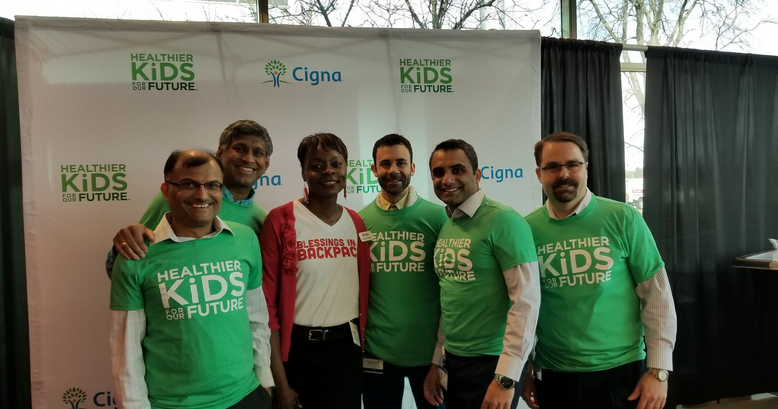 Global health service company Cigna kicked off its Healthier Kids for Our Future, a $25 million five-year global initiative to improve the health and well-being of children. 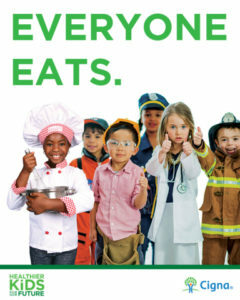 Cigna’s 74,000 global employees will work together to put children on a healthier path, starting with reducing childhood hunger and improving nutrition in local communities. 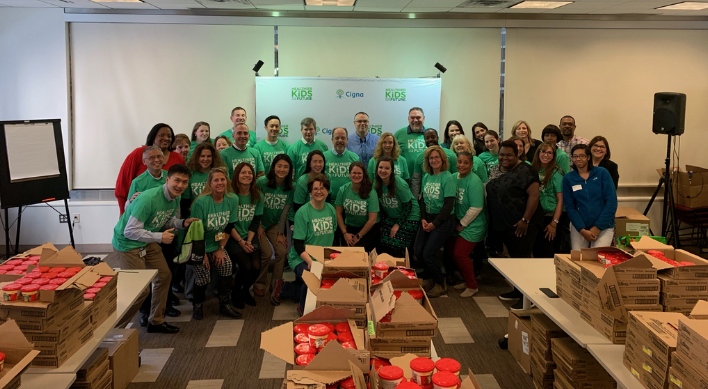 On Tuesday, January 15, Cigna employees are working side-by-side to pack food for elementary school students who might otherwise go hungry on the weekends, in partnership with the non-profit organization, Blessings in a Backpack. Healthier Kids for Our Future is part of Cigna’s $200 million investment to support local communities and improve societal health announced at the close of the company’s transaction with Express Scripts in December 2018. 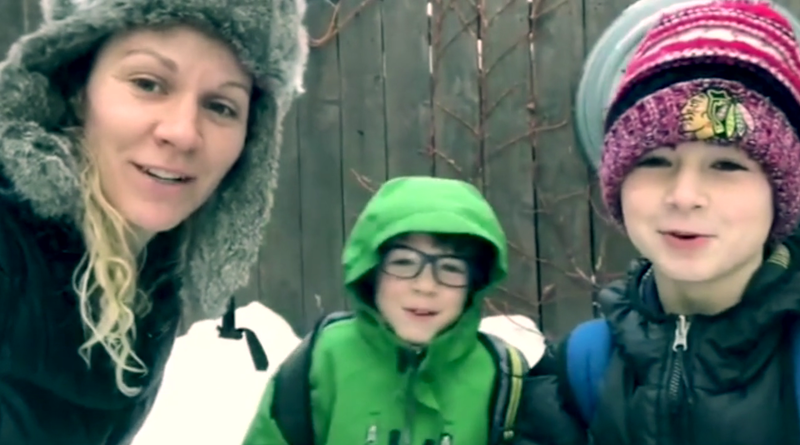 According to Blessings in a Backpack, there are more than 13 million American children at risk of hunger. Research has shown that food insecurity and hunger can significantly affect a child’s short- and long-term physical and mental health and may lead to poorer health outcomes later in life. Blessings in a Backpack, which has partnered with Cigna locally since 2013, is currently feeding more than 87,000 children in more than 1,000 schools across the United States. “We are thrilled to expand our work together and help feed the many children who go hungry when they are not in school. 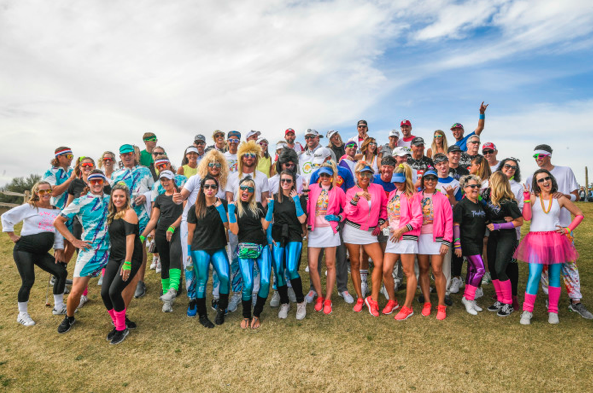 Everything we do to support the health and well-being of children makes a difference and gives these students a path to a brighter future,” said Brooke Wiseman, chief executive officer, Blessings in Backpack. 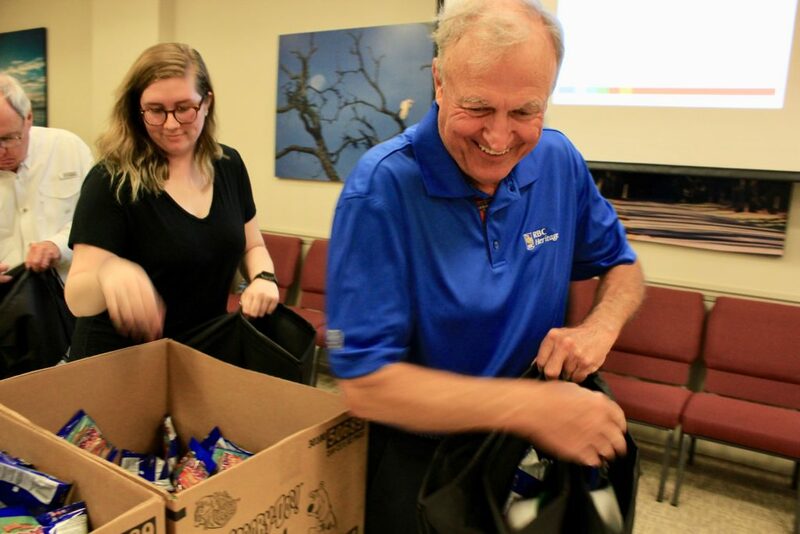 Tuesday’s packing events are taking place, often simultaneously, in several cities where Cigna has a significant presence and the backpacks will be distributed in those local communities.